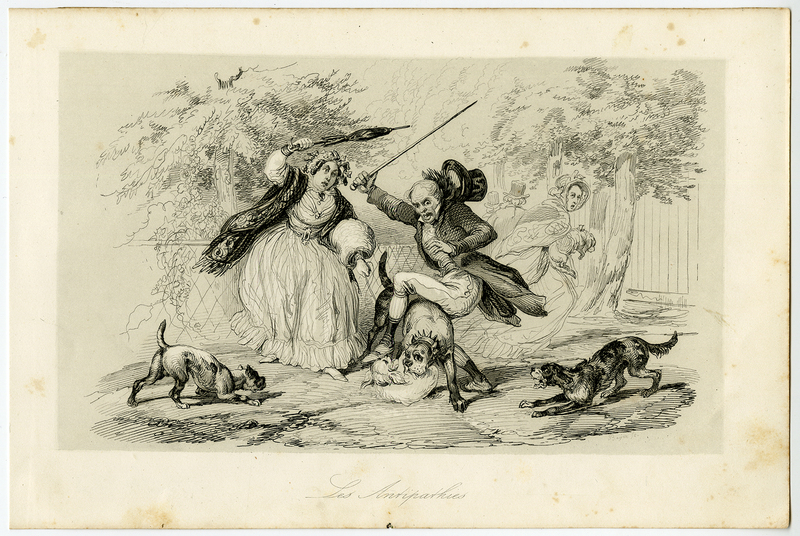 Subject: Antique print, titled: 'Les Antipathies. (Repulsive).' - Street dogs fighting with a small dog of a lady.